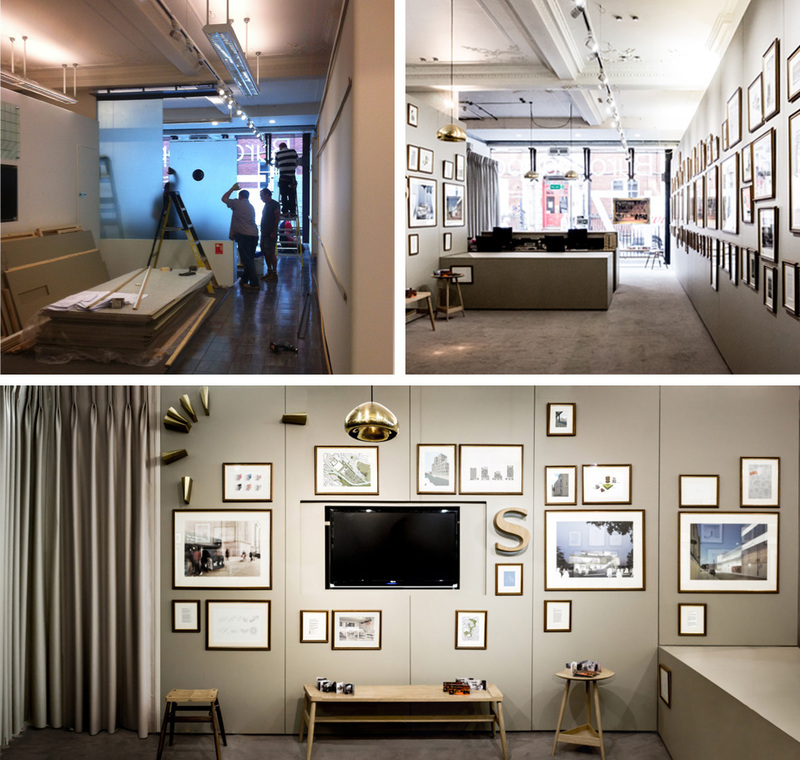 UNIT Architects were selected by Buro Happold to display our work in their London office as part of the Emerging Architects exhibition series promoting the world’s most imaginative and engaging new architects. Our contribution focused on a selection of projects that share a common approach of engagement with scale, contextual symbology, material presence and considered detailing. The exhibition communicated our fascination with the material presence of architecture, our respect for historical precedent and our focus on considered contemporary construction. Projects exhibited ranged in scale from a bike shed to a major master plan in East London. The diverse typologies on display included work for St. Joseph’s Hospice in Hackney, the development of a contextual language for residential architecture in Brixton and a swing foot bridge over the Motlawa River in Gdansk. As part of the exhibition, we radically re-modelled Buro Happold’s reception, transforming the space into an exposition of elegant splendour adorned with artwork, inspired by the grand exhibitions of the Salon de Paris. In clearing the space of previous obstructions, we were able to reveal and celebrate the grandeur of the original interior. Panelled carpentry cloaked the walls and reception desk, coordinating with deep drapes and carpet to form a simple lining illuminated by new light fittings to frame the ornament of the period ceiling and provide a homogenous backdrop to our work.